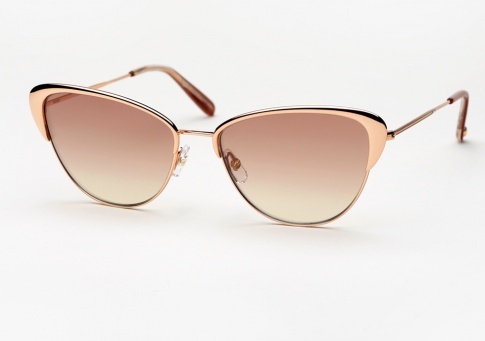 Garrett Leight Vista - Rose Gold Need Help? Take Flight with Garrett Leight's Vista, a new winged metal style with flared cat eye curves and semi-flat nylon gradient lenses. It is offered here in a luxurious rose gold metal, mink velvet acetate temple tips, and finished with complimentary semi-flat copper gradient lenses.